I thought I'd start a thread on this specific topic, as it comes up once in-a-while, and deserves it's own place. Forum members having flap issues can be pointed here for in-depth information. I am not a mechanic, but have done this a couple of times, as I was one of the unfortunate owners to have problems with the flap board. So, here is my initial draft of the process... feel free to expand, correct and comment. Pictures would help, too! 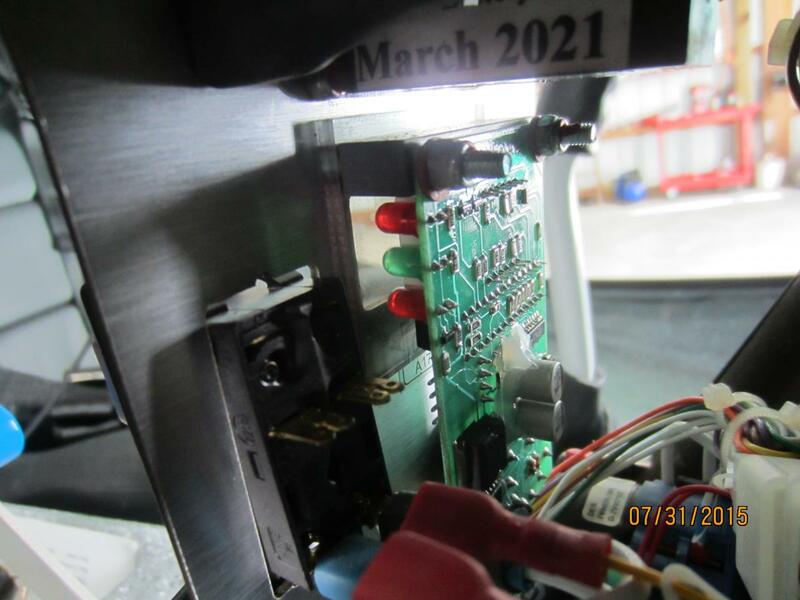 Calibrating, or programming, the flaps on a CT is the process of setting the flaps so that when the switch is at 0 degrees, the flaps are at 0 degrees. And when the switch is at 15 degrees, the flaps are at 15 degrees… and so on. 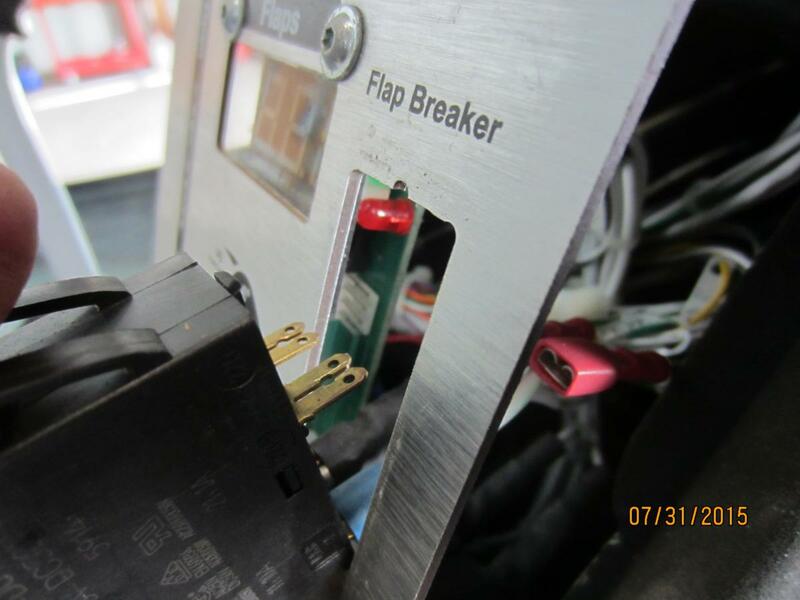 This process may need to be done if your flaps begin to behave oddly or have been worked-on. Rarely, the flaps may “lose their programming”, for whatever reason. I've seen it happen when a plane was experiencing battery problems. This process is for the CTSW, but may be similar to the LS. Hopefully, knowledgeable people will add to this post with their experiences. Adding pictures would be nice. This process may need to be done by a mechanic rated for your airplane, or at least checked or supervised by a properly rated person. 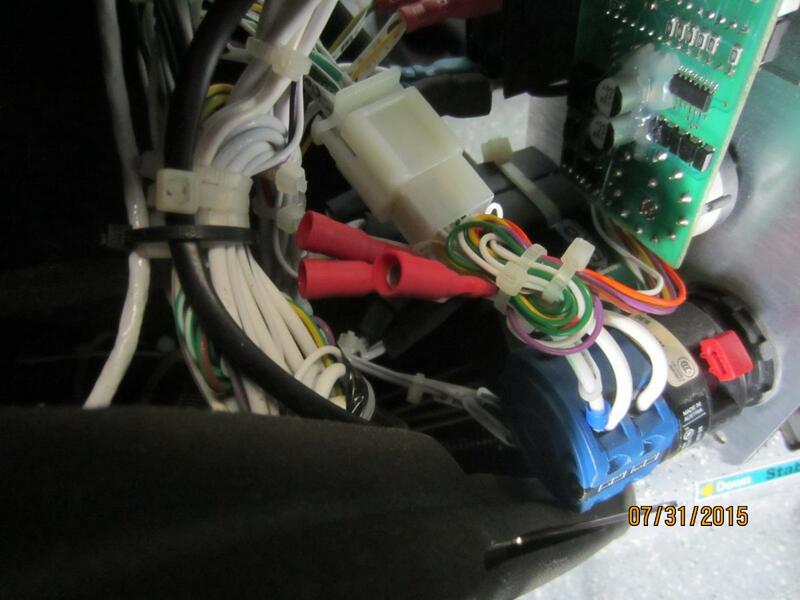 While working on your panel, it is imperative that you be careful with all wires. There are dozens of wires going everywhere. Be very careful to look closely as you open things up. It might even help to take pictures. It is very easy to pull on a wire and possibly pull it off of a connector. Sometimes wires will pull out of it’s crimped connector. You must feel and make sure you are not exerting forces on the wires that will unplug things. Also make sure to no short any wires against each other, or short a wire or connector to other things. 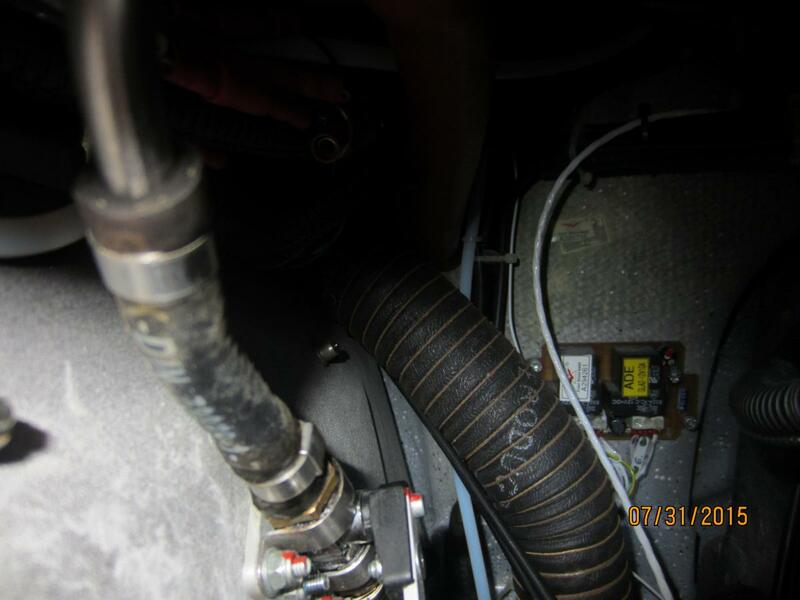 Check connectors to make sure they are in tight. To calibrate the flaps you’ll need the two switches that came with your CT, and an inclinometer. I suggest using an inclinometer App on a smartphone or tablet. (Like “Clinometer” on Android). The Switches - One is a rocker switch with up/down/center positions, and the other is a button (but usually has a weird long lever on it). The rocker switch is used to move the flaps up or down to the proper position, and the button is used to program that position. You’ll need to have the center panel open and the back must be accessible. To keep from scratching things or shorting a wire, it may be a good idea to have a towel draped over the throttle, brake, & choke levers. Some people hang the panel using a bungee cord. One switch has a nylon 3-prong connector that plugs into the side of the flap switch. It may be necessary to move the black switch slightly to be able to get at the plug connector. The other switch has 3 bullet connectors that go into the matching 3 bullet connectors that should be coming out of the bundle of wires around the flap switch. Which wire goes where? It would be nice if they were marked, but otherwise you can experiment with them. Once the switches are plugged in and tested (up/down works), position the rotating flap selector switch (in the panel) to the 0 degrees position. Then, using the rocker switch, move the flaps to the 0 degrees position, where they align with the body. Now press the programming button for one second, you’ll see “PGM” or something similar flash on the LED readout. Now put your inclinometer on the flaps. Let’s say it reads 61 degrees. That is your base. You’ll be adding or subtracting degrees from this number. Position the rotating flap selector switch to the -6 degrees position. With your inclinometer in place (you’ll need another person) move the rocker switch so the flaps move up to 55 degrees (or whatever the number is to be -6 degrees different). When you are in the right spot, press the programming switch for one second. The LED readout will flash “PGM” again. Now on to 15 degrees. Put the rotating flap selector switch to the 15 degrees spot. Then use the rocker switch to move the flaps until they are 15 degrees beyond the 0 degrees position. In our example it would be 76 degrees. Push the programming button… PGM. Now move the rotating flap selector switch to the 30 degrees position, them move the flaps with the rocker switch to the 91 degrees spot (using the inclinometer). Program…. And so on. At the top and bottom of the flap ranges, there is a limit switch inside the mechanism, to keep the flaps from going beyond set limits. This means you will NOT be able to move the flaps into the -12 degrees position (for extra speed), because somewhere right near -6 degrees the limit switch will stop any further motion. This is probably also true of the other extreme, so you will not be able to program the flaps to go to, say, 50 degrees. When you’re all done, test all of the flap positions… put the panel back together, and go flying! Warning! The flap system for the SW is different from the LS. In one particular flap board configuration, the mini-molex plug is a FOUR pin, and tying into the wrong pins WILL DESTROY THE BOARD (first hand experience, I was sent the wrong data while making a wire harness and it was warranty replaced). In the current iteration of flap control, there are 5 banana plug connectors. Three are wired into the up/down/common wire motor control relays, and two are for the programming circuit. Yes, it has to be programmed. Moving the limit switch does not move the lever arm attached to the potentiometer. Should the flaps set at -6 be lined up with the ailerons. Thanks for the write up, very helpful. I went to the hangar today and snapped a few photos of the CTSW. Perhaps this will be helpful. Bear with me as I post these photos. The first photo is shot from the pilot's side, the second from the passenger side. This photo shows the bullet connectors. 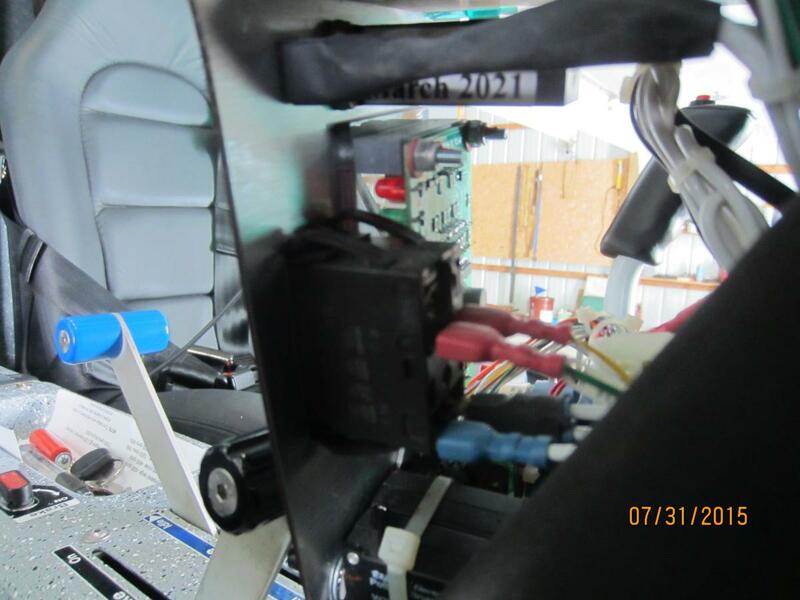 This photo shows the flap board with the top two wires removed from the circuit breaker(CB)and the breaker pulled partially out the front of the panel. On my flap board there is a 4 pin Molex type connector mounted on the circuit board, you can see the pins from this angle. 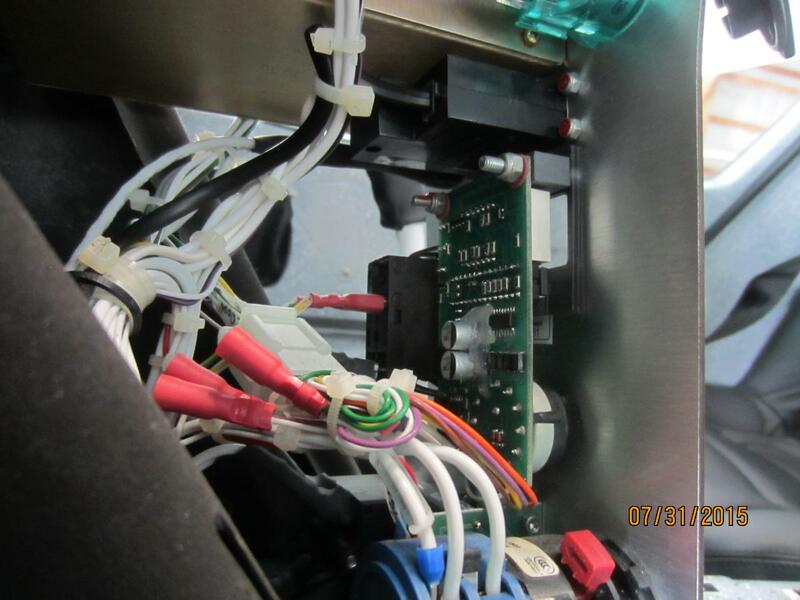 This photo shows the CB partially removed with the view from the front of the panel. Easier to see the Molex connector, but a little fuzzy. This photo shows the Flap Relay Board with is mounted on the firewall. I do not have any switches for programing this board. I assume they got lost somewhere in its previous travels. Can probably rig up something with the bullet connectors, but not sure yet where I can find the right Molex connector. They get pretty close, but not exactly. If in doubt, go over the rigging section of the MM. BravoFoxTrot: you have the style system that I am referring to, that came late in the SW, early in the LS, series. The three bullet connectors control the up/down flaps manually. The connector is, I believe, a Molex KK series connector. You can look over molex' wire to board connectors if that doesn't look like that's it (I can't rememeber). As said, you MUST be cautious when wiring this up. If you use the wrong diagram, you WILL destroy your board! If you want to play it safe, call FDUSA and they will sell you one. I'll look... I might have a spare. Anticept: It certainly looks like a KK series connector. Probably the 254 instead of the 396 based on its purpose/current rating, but would have to measure to be sure. That said the risk of making my own switch as you mentioned above probably isn't worth it. CT4ME: If you have a spare, this would certainly be the best option. Let me know if you find it, otherwise I will contact FD and try that route. To calibrate the flaps you’ll need the two switches that came with your CT, and an inclinometer. I suggest using an inclinometer App﻿﻿﻿﻿﻿ on a smartphone or tablet. (Like “Clinometer” on Android). I dont have these switches. Could anyone lend them to me? You really don't need switches with the new boards. If you call me today I'll tell you how to do it with just 4 alligator clip wires. It's easy. I will call you when I get the new part. Replaced the flap card and flaps work fine now. It was definitely the problem. Not sure where the crack is. Don't know much about electronics soldering.